On Tuesday, March 17th, Fourth Grade students at Wakelee Elementary School celebrated St. Patrick's Day whil learning Fractions. 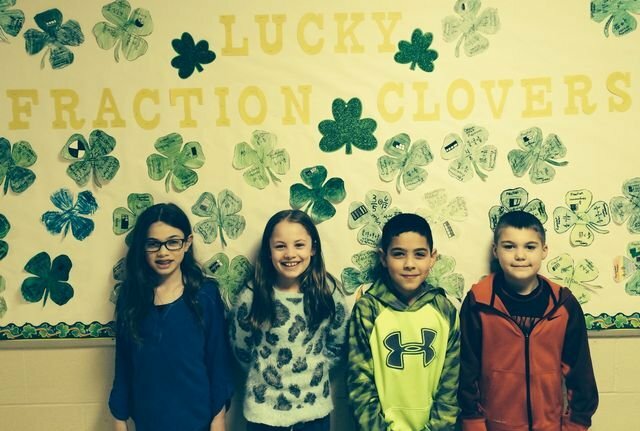 The students worked together to create Fraction Clovers. The clovers showed how to draw, compare, decompose, and make equivalent fractions.